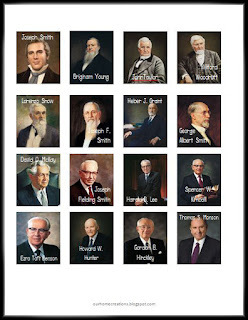 At the Women's session of the LDS General Conference, President Nelson has invited the women of the church to read the Book of Mormon by the end of the year. 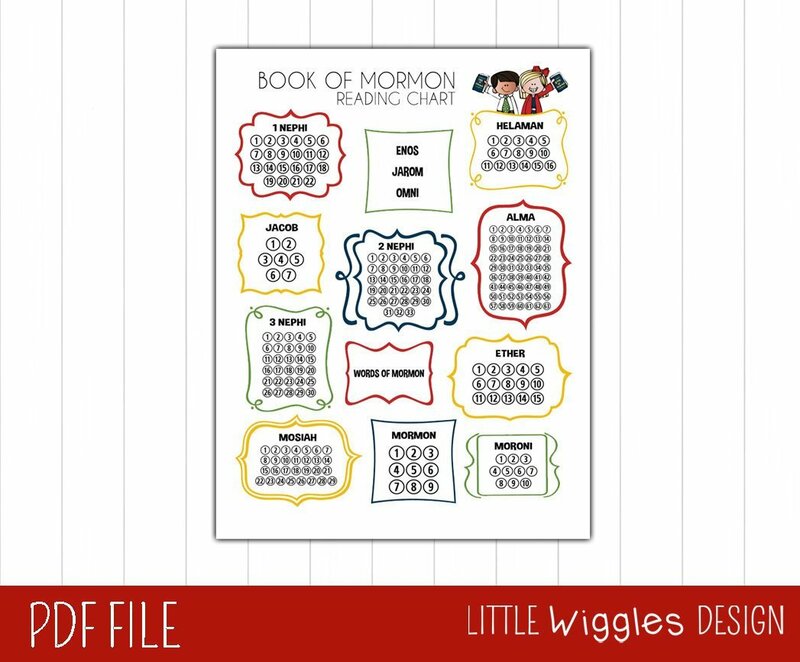 Here is a free reading chart to help keep track of your progress. Enjoy! It has been a long time since I have posted but that doesn't mean I have stopped creating. I love it too much. I am excited to announce, Our Home Creations has opened a new Etsy shop under the name Little Wiggles Design. I am here to make Mom and Dad's life a little less easier by offering fun and creative activities for home, church, vacations, and holidays. 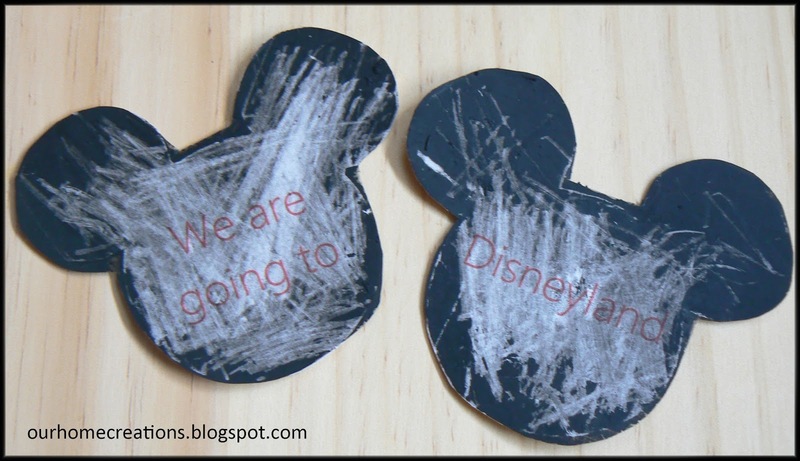 My husband and I had so much fun surprising our kids this past week with a Disney scavenger hunt. They been asking for years to go and for years we have been savings to go and we are finally doing it. We are so excited and yes, I think my husband and I are more excited than the kids! Here is how is how we decided to do it. 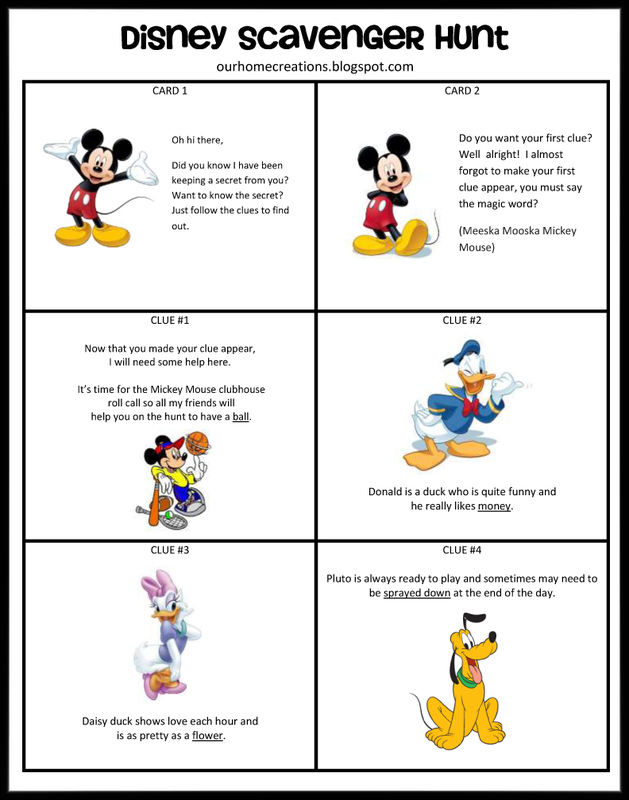 I made these clue cards with the Mickey Mouse Clubhouse theme. After printing off the cards, I read card 1 and card 2 to them. After saying the magic words (Meeska Mooska Mickey Mouse) from card 2, they were given clue #1, This is when they started the actually Disney scavenger hunt. 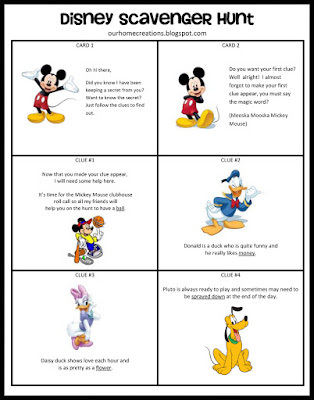 The last thing the kids had to do as part of the Disney scavenger hunt was use a Mousekatool from clue #6 and then use it on a Mickey Mouse scratch card that I handed to them to reveal the secret. For our Mousekatool, we attached a penny onto Toodles using a glue dot. There are several tutorials on how to match your own scratch card. The tutorial I used was from Artmind. 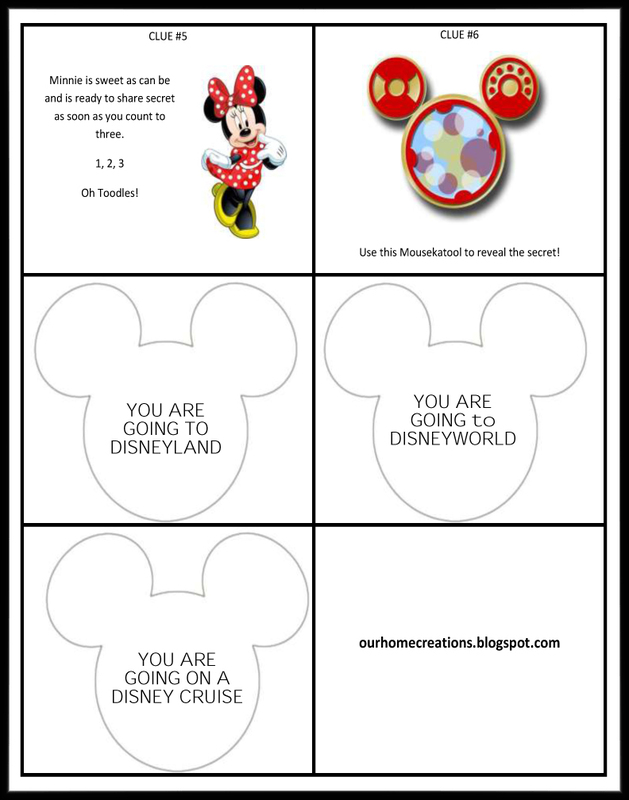 The template for the Mickey Mouse scratch card and the Disney surprise scavenger hunt can be DOWNLOAD HERE. 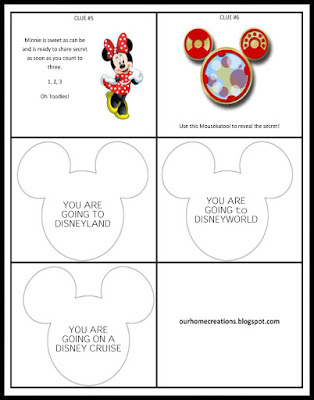 There are three options for the Mickey Mouse scratch cards: You are going to Disneyland, You are going to Disneyworld, and You are going on a Disney cruise. I thought I would get a bigger reaction from them but I think it took awhile to sink in. After we told them we were going to the beach as well, they got really excited. Ha, we should have just skipped Disneyland right? Now that we have talked about it and shown them pictures, they are very excited! 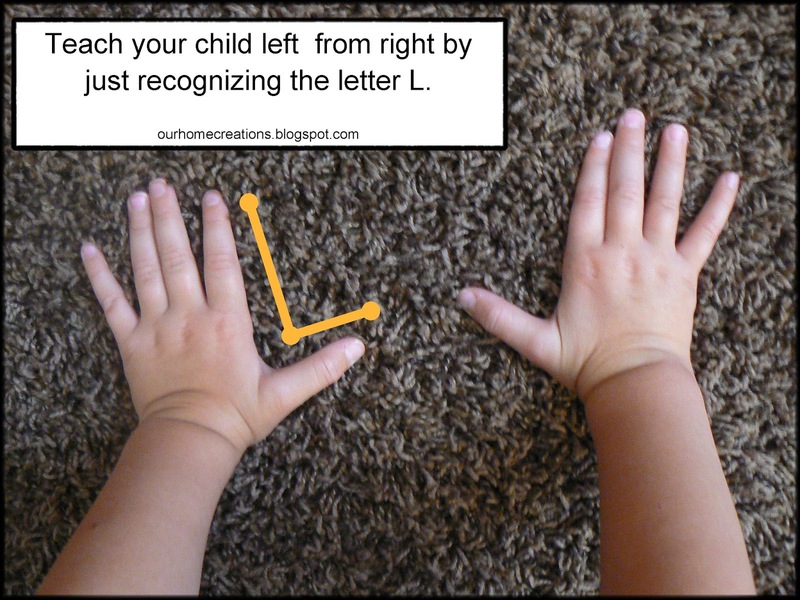 My boys both learned left from right at the age of 3 and I found one of the easiest ways to teach them left vs right is by first teaching them to recognize the uppercase letter L.
If you have your child hold out both hand with their thumb extended as pictured above, you will notice that your left index finger and thumb form the letter L.
I then teach my children that left starts with the letter L by doing this is makes a easy connection for them to remember. Whenever they ask which way is left or right, I ask them to hold up both hands and tell me which hand has the letter, and it works every time! A little less than a year ago I shared LDS Quiet Binders I made for my boys. They still use them all the time and it was time to update them with new activities. 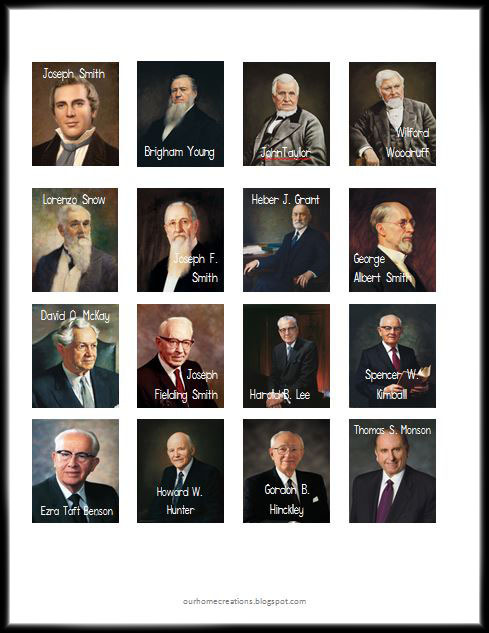 With LDS general conference this weekend, I thought this would be a great time to share all these new activities with you. 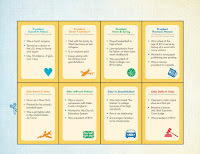 Below you will find all the links to these activities and more. All these activities are laminated so they can be used over and over again. 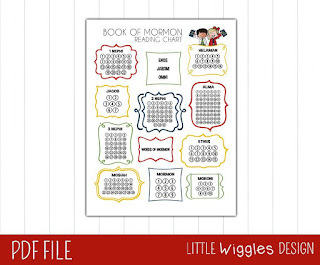 There is a writing sheet for each letter of the alphabet. 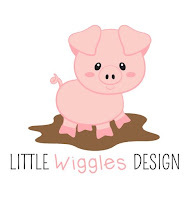 You can purchase them from Little Wiggles Design. I designed all the matching games so that they will print off on the front and back of each page. Make sure you cut out game pieces individually and then laminate them. See each activity for instructions on how to print. Once everything is laminated, I used magnet tape on the top of each game sheet and on the back of each game piece, so that the game pieces will stay in place when playing the game. I store the game pieces in snack bags when they are not being used. 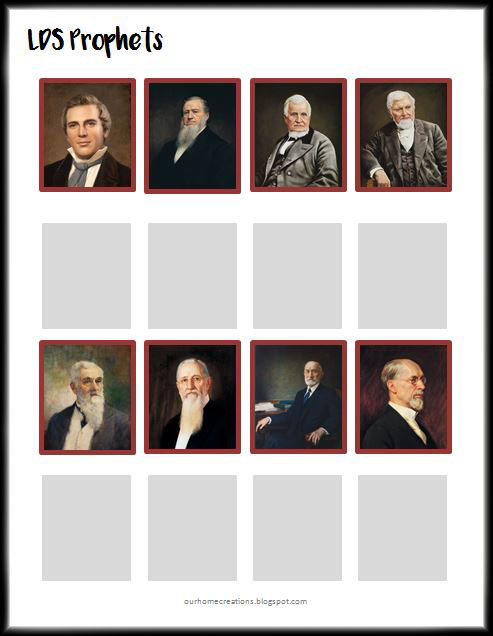 There are two pages of LDS Prophets picture matching game sheets that can be printed front to back and one sheet of game pieces with the Prophet's picture and names. 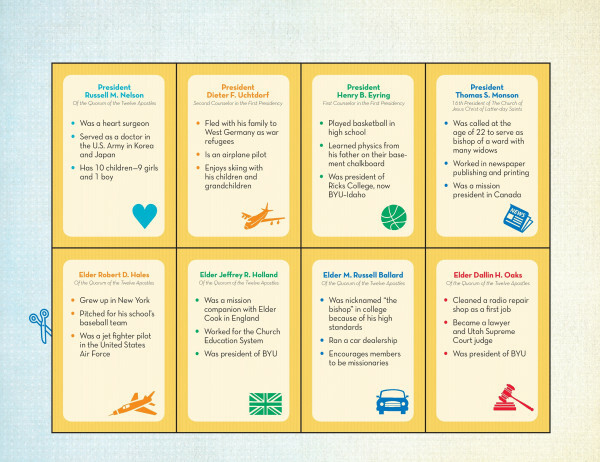 This matching game has one page of game pieces with the Prophet's names. 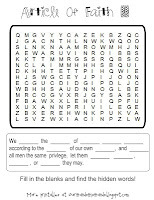 The two pages you see NEEDS to be printed front and back so that your child can check their answer. There are two pages of LDS Temple picture matching game sheets that can be printed front to back and one sheet of games pieces of each Temple and its name. 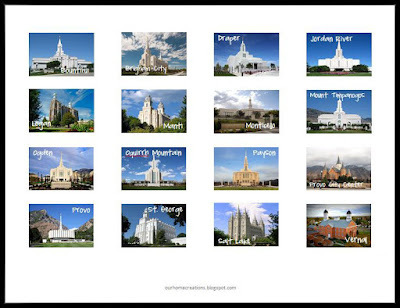 There are four pages of LDS Temple matching game sheets. Page 1 and 2 NEEDS to be printed front to back and Page 3 and 4 NEEDS to be printed front to back so that your child can check their answer. 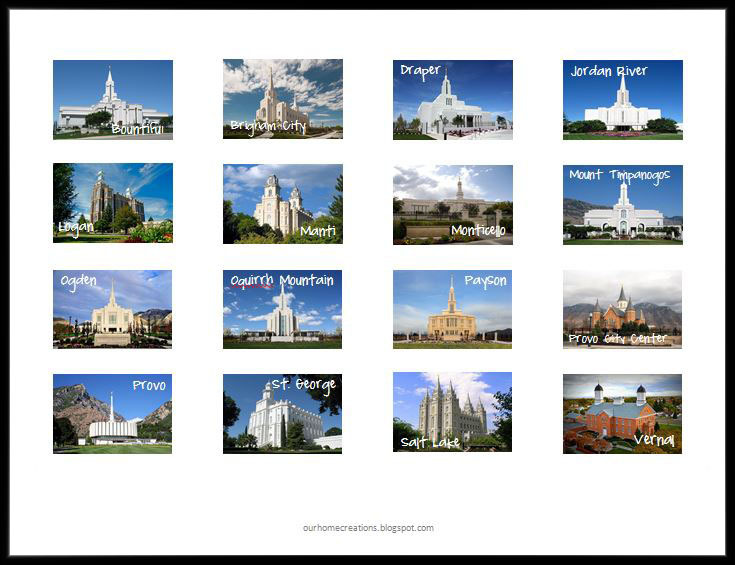 There is also one sheet of game pieces with the Temple names as well. 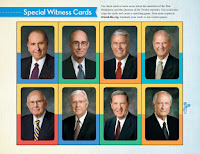 I also found these Special Witness cards that can be used to learn more about the members of the First Presidency and the Quorum of the Twelve Apostles. 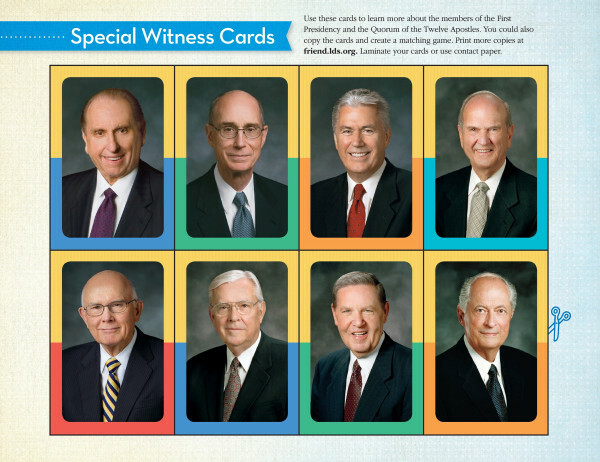 You can find the link HERE to download these cards. 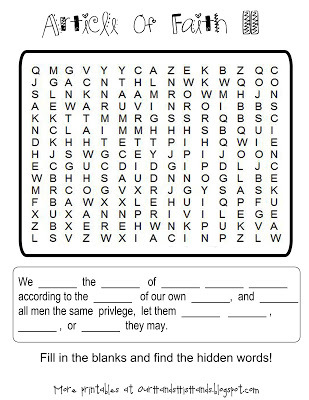 I also really like these Article of Faith word searches from Our Hands, His Hands. It is a great way to teach the Articles of Faith. 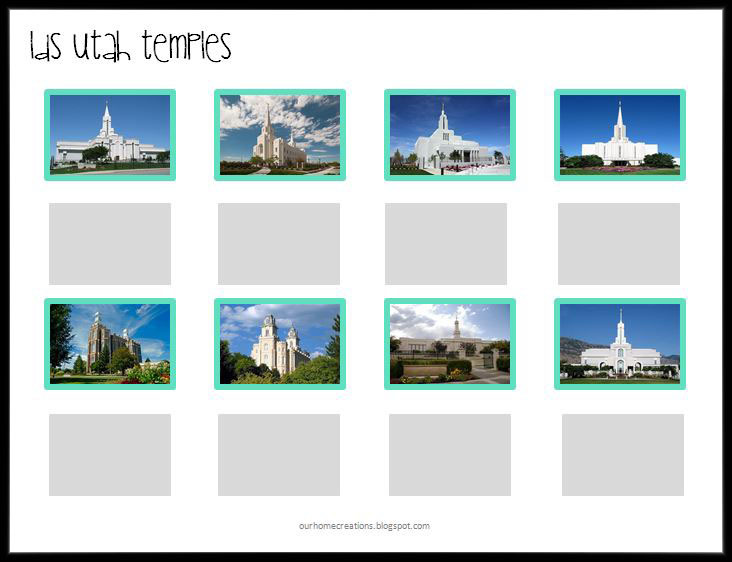 You can find more printables and activities on my previous post LDS Quiet Binders. If you have any questions, please let me know. I am happy to help. 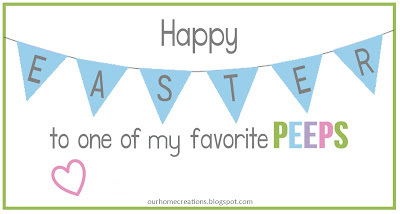 Easter sneaked up on me this year and so if you are like me, looking for a last minute gift idea, I have a simple solution. I love designing my own things, so for some of our youth at my church, I made these adorable Easter treat tags to attach to Peeps candy. It took me a total of 10 minutes to put 16 treat bags together and I am excited to give them to our youth. I also made another version that says "to one of my favorite Peeps"
These FREE PRINTABLE Easter Peep tags have 10 to a page. If you want the tags bigger, you can right click on the pictures above and save.